A Nexus 9 mockup by Android Police. HTC will launch the much-anticipated Nexus 9 on October 16, according to an “anonymous tipster” familiar with the company’s plans. The device is expected to boast an 8.9-inch Quad HD display and NVIDIA’s latest Tegra K1 processor, and it could be available to purchase by the end of next month. “The HTC Nexus 9 will be launched on 16th October,” tweeted Paul O’Brien of MoDaCo, citing an anonymous source, before later clarifying that this is the date HTC will announce the device — not the date it will go on sale. O’Brien is the founder of MoDaCo, and a trusted source in the mobile industry — particularly when it comes to information regarding HTC, a company he enjoys a close relationship with. We have no reason to doubt that this information is accurate, then, though it shouldn’t necessarily be relied upon too much until it’s confirmed by HTC or Google. 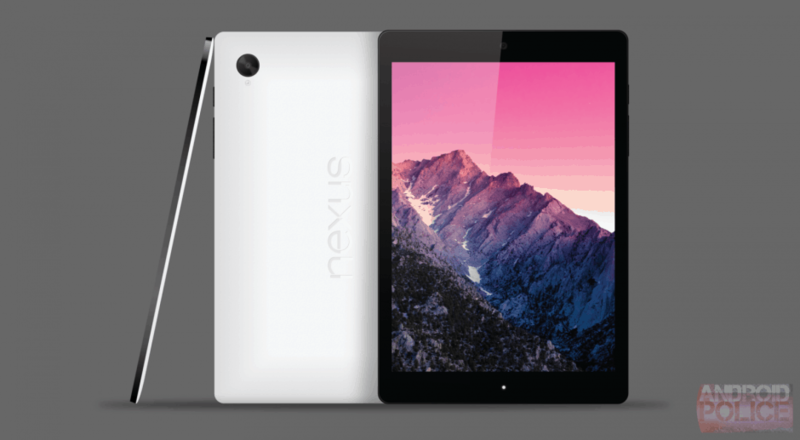 We have been expecting the Nexus 9 for a little while now. NVIDIA, which is supplying the tablet’s 64-bit Tegra K1 processor, expects it to launch before the end of this quarter. In addition to that CPU and a Quad HD display, the device will reportedly come with up to 4GB of RAM, an 8-megapixel camera, and NFC connectivity. We’ve already seen the Nexus 9’s official keyboard case, which provides physical keys in a folio design to allow users to get stuff done on the go. It’s still unclear at this point when the device will go on sale, but if it’s announced on October 16, it could well available before November.